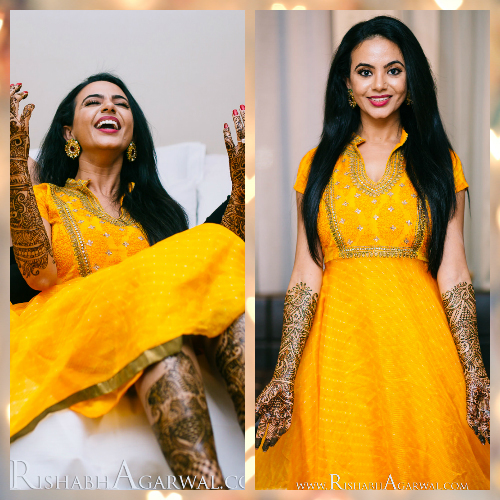 7 Brides Who Wore The *Prettiest* Mehendi Outfits - We LOVE! Image: Shared by the bride, Kresha Bajaj. 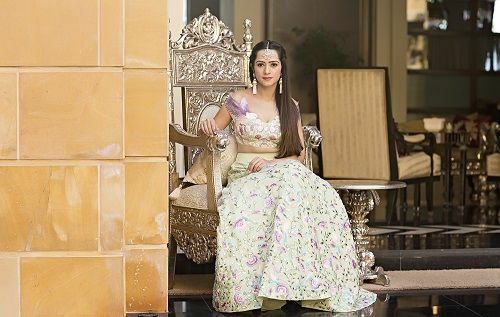 Photo Courtesy: The House of Pixels Just like in all her other outfits, designer Kresha Bajaj left us awestruck in the lehenga she wore for her mehendi. 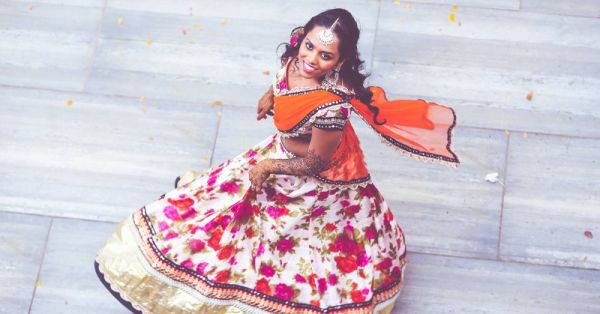 A combination of mint and lilac, the self-designed lehenga is chic, stylish and easy to move around in. We love the off shoulders with the bird motifs, and her fresh and clean style. Image: Rishabh Agarwal Photography Want to keep it bright and nice and zero fuss? Opt for an A-line kurti dress just like Niti. We love the cheery yellow, and the delicate thread and mirror work on the top. A pair of statement earrings, and the bride is ready for a great time ahead with the girlies! Also read: The Most Beautiful Designs To Inspire Your Mehendi Artist! 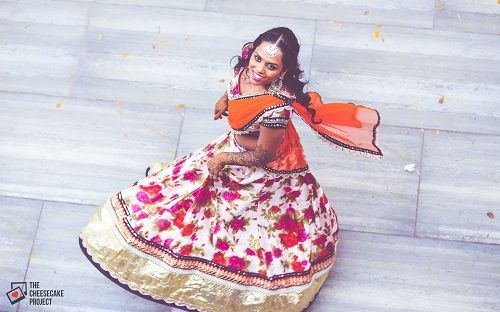 Image: The Cheesecake Project Bride Shruti chose a pretty floral lehenga for the special occasion and paired with a neatly tucked in orange dupatta and an oversized maangtika. For a morning mehendi function, the bride sure looks picture perfect. Image: Morvi Images Dressed in a red and pink pant saree by Anamika Khanna, bride Payal looks like a million bucks. 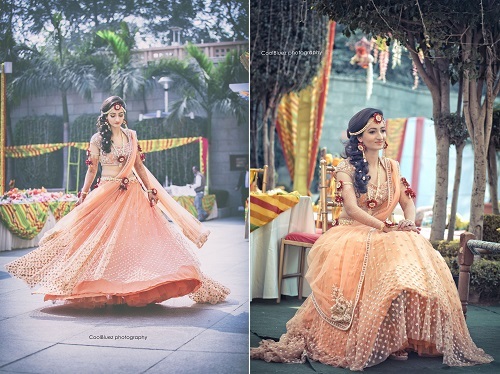 We love the concept and we love how truly stylish the bride looks. And all this without compromising on comfort! 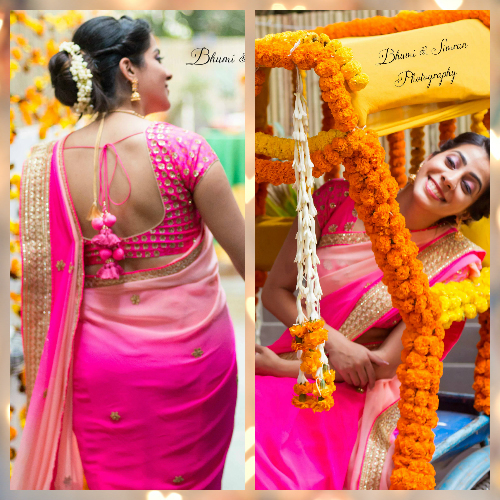 Image: Bhumi & Simran Photography If you’re comfortable in sarees, then there is just no reason for not wearing one for the mehendi! Bride Madhuri wore a charming pink ombre saree with minimal work and a blouse with pretty latkans. And we absolutely love her look! Image: Morvi Images Dress yourself up in a lovely brocade lehenga for the special day. 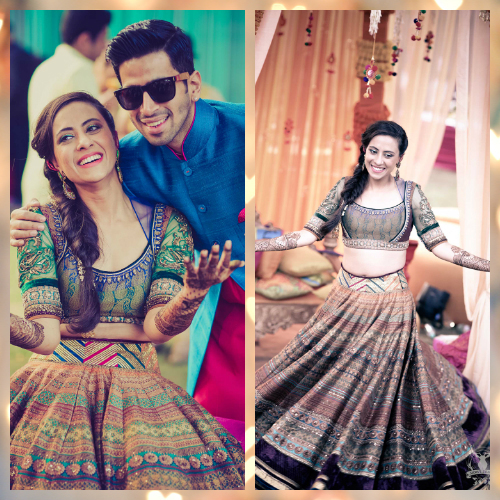 We love bride Sanam’s lehenga, which is full of colour and intricate work. 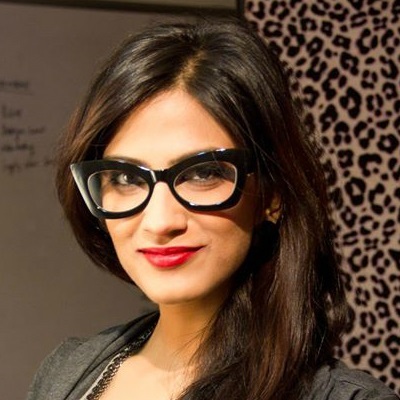 She’s skipped the dupatta so she can move around freely, and accessorized it with just a pair of pretty earrings. A place where girls can talk about ANYTHING. (No guys allowed!) ? ? Get the POPxo app NOW on Play Store and iOS App Store.